Good Saturday, all! I hope everyone is having a gorgeous Columbus Day Weekend here in the States, and a wonderful Thanksgiving in Canada, and a lovely regular Saturday everywhere else! 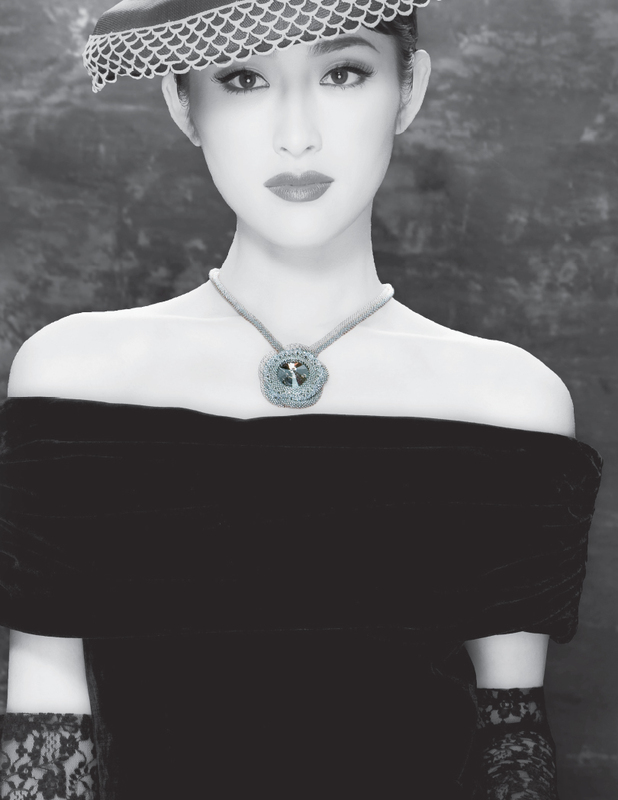 I've been busy embroidering with my beads... and not, surprisingly, on a piece of jewelry. A group that I am a part of on Facebook, Operation Tackle That Bead Stash (don't you love that name?? ), is hosting a round robin for a piece of bead embroidery 6" x 6" and my first attempt to put something together for it was a little too much; many of the participants are in the UK and elsewhere, and the dichroic cabochons that I chose for focals were just too heavy, in hindsight, to be mailing around, especially as we aren't paying the shipping costs for our own piece's stops along their way back to us. So I put together another square, this time with smaller, polymer clay cabochons, to take its place. I'm left with my all-set-up square with cabs glued down... could I resist? Ha! Noooo... so I'm embroidering this one by myself. I have been having so much fun and it's very freeing to be able to put anything anywhere without worry that it must conform in some way to a person's neck or wrists. I am, of course, also feeling mega guilty that I'm not producing tutorials or jewelry for sale, but I think I need the break. I'm realllllllly looking forward to when I receive the next person's square to work on, though - what a challenge to work with their colors and their design!! I can't wait! 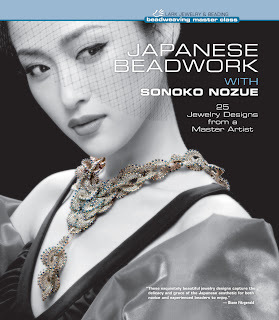 This weekend, I want to do a short review of Sonoko Nozue's Japanese Beadwork. I honestly think this is a lovely book, and she has some fabulous projects in it, and uses stitches that aren't often focused on these days. For example, I am tempted to go back to doing something with Chevron Chain after seeing her projects, because there are several that look scrumptious!! Her Midnight Necklace is made with chevron, and it's gorgeous and lush looking. 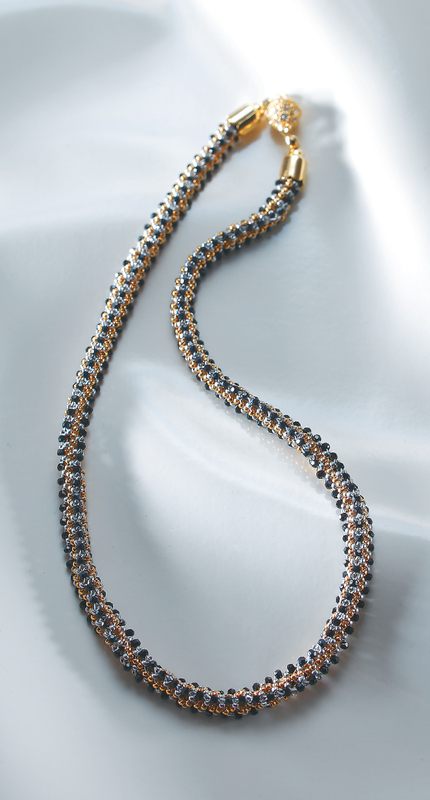 Her Cheerful Midafternoon necklace is based on Zulu stitch, and although she has placed it in a chapter titled "Casual" I think it is anything but; how elegant is this! 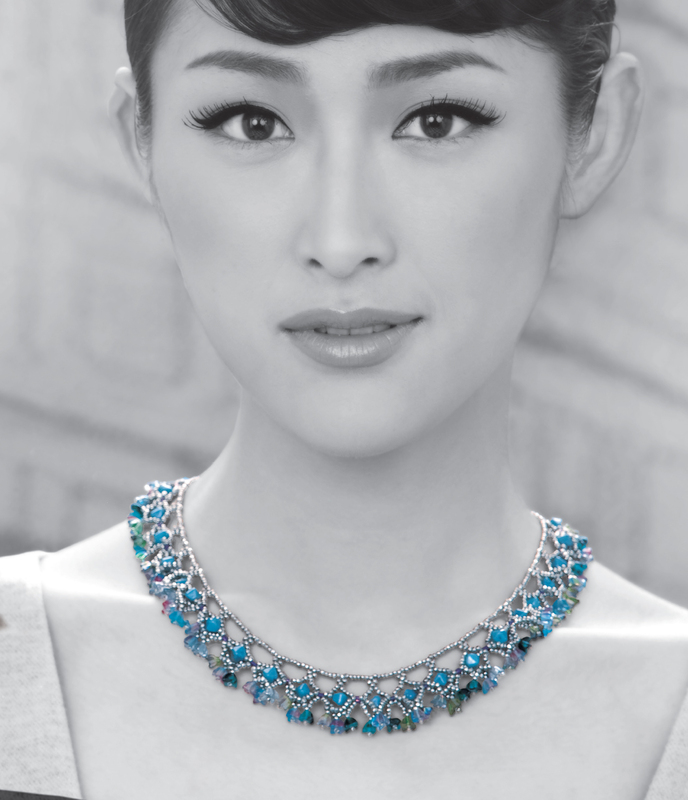 Fit for a princess. 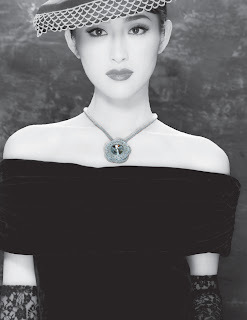 I highly recommend this book for those of you who want to branch out and try some new stitches out in some really elegant jewelry. Although the diagrams are a bit different, and the steps are laid out in a way I haven't seen before, I think the patterns are easy to follow and the results are glorious. I truly haven't decided if I should do a giveaway, or keep it for myself... but I'll let you know soon!! :) Leave me a comment so I can see how many of you would like a giveaway on it, and I'll muse on it some more. That's it for now, but next blog post I have some fabulous Blogger Awards to hand out, possibly a book giveaway, and hopefully something concrete on the embroidery to show you. Off to BEAD!!! !